Image description: A blonde in black stands on the right in front of a brick wall painted in a rainbow gradient. 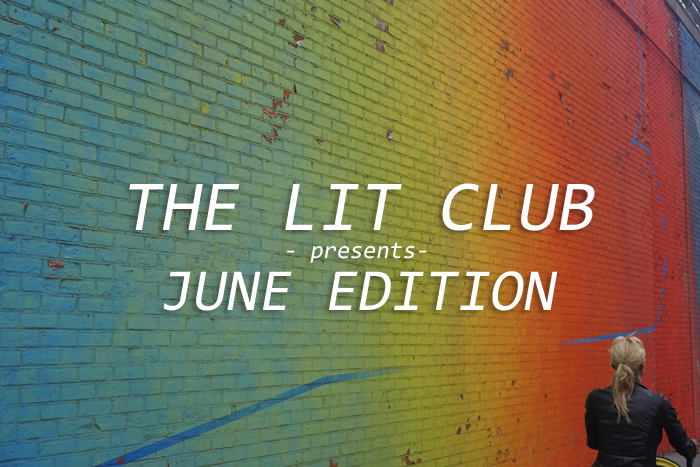 Imposed on the picture is the text that follows: "THE LIT CLUB presents JUNE EDITION". *The following images in this post are the covers for each book listed. To commemorate Pride Month as well as the victims lost at the Pulse shooting last year, the books chosen for this June’s Lit Club have LGBTQ+ characters or/and authors, as well as a few novels that feature Caribbean authors, as it is Caribbean Heritage Month. Enjoy! From the winner of the Forward Prize, Augustown is a magical and haunting novel set in the underbelly of Jamaica. This small children’s book tells the story of a little black girl who gets moved from her hometown in Apple Creek to the city of Harlem, New York. Though she’s upset about it, her mother enrolls her in a ballet class and we follow her journey and experience with her new world. This book is great for little girls everywhere, especially little black girls.